There are many true stories about what happened during the Normandy Invasion. Veterans have shared their remembrances and family or historians have written down these primary sources. I suppose I could retell and paraphrase some of these stories, but today I’d like to share two stories you’ve probably never heard before. You see, there were two men – one on each side of my family – who were involved in the fighting in Normandy. They have passed away and left no clear records of what they did; however, I interviewed my grandparents to see what they remembered and there are enough pieces to put together the stories. My great-grandfather, Ray Herdman, was one of eight brothers who all served in the military during World War II. He was an electrician by trade and his skill became important in his military missions. My grandmother says her dad rarely talked about what he did, though he did mention wishing that he could take his wife to France to show her the coast and countryside. What we know is that Ray Herdman was in the Normandy region during 1944 and that he was involved in destroying bridges held by the Germans and rebuilding bridges for the Allies. It is possible that he may have been behind enemy lines laying the electrical wires for the explosion of bridges. Whether this was before or during the D-day invasion or during the Normandy break-out, I’m not sure. The only other clear account that my grandmother overheard was Ray remembered going through a French village where the dead and wounded lay so close together it was impossible not to step on them. I understand why Ray Herdman didn’t want to talk about his war experience. It was too awful. War is always brutal and the results are heartbreaking. Still, I wish he had left a record of what he did in Normandy. On my mom’s side of the family we’re not directly related to the forgotten hero. His name was Meredith Howell and he was my grandmother’s older cousin. Similar to my great-grandfather, Meredith didn’t talk much about his experiences and when he did, no one wrote it down (at least to our knowledge). Yet enough facts remain to discover the tale. Meredith was in his early or mid-twenties during the World War II era. He had grown up in a little Southern California orange grove town called Escondido (about 30 miles north of San Diego). The Howell family members were hard-workers, but there were times of fun too. Meredith and his younger brother Courtney somehow became interested in flying; maybe they went up with a barnstormer in an old World War I plane. Their interest in flight prompted them to start experimenting and they built a glider of their own – wood frame and cloth. The brothers took their creation to Palomar Mountain and from somewhere on the mountain they launched the glider, flew, and obviously survived the landing. When America entered World War II, the Howell boys likely volunteered to serve – they were not the type of young men to wait to be drafted. Courtney Howell joined the navy. Meredith Howell joined the army and somehow ended up in the Army Air Corps. (There was no Air Force branch in those days). The Air Corps was desperate for pilots; maybe they asked if anyone had flight experience and Meredith half-raised his hand, remembering his glider flight. We don’t know the details, except that he was in the Army Air Corps, learned to fly military gliders and flew a glider into Normandy during the invasion. Three facts are all that remain for what must have been an exciting story, but like we imagined my great-grandfather’s experiences, let’s think about what Meredith might have done – his story is a little easier to fill in because other glider pilots wrote records. 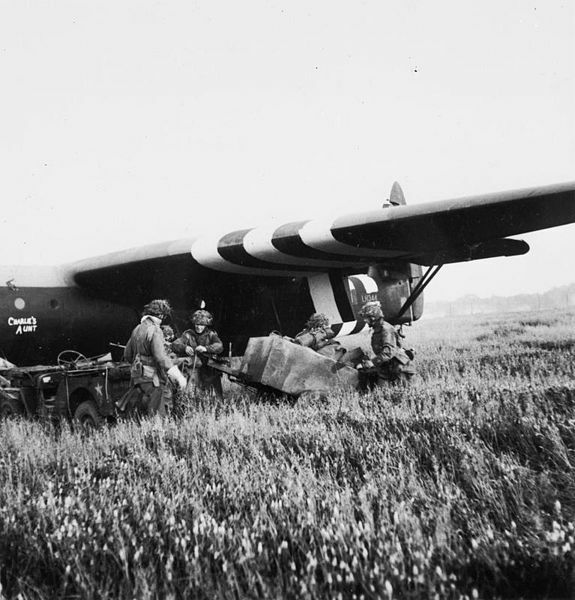 The invasion gliders were large; they could carry infantry reinforcements or a jeep. They would be towed into the air by heavy aircraft and released above their destination. In the pre-dawn morning of June 6, 1944, the destination was field in Normandy. 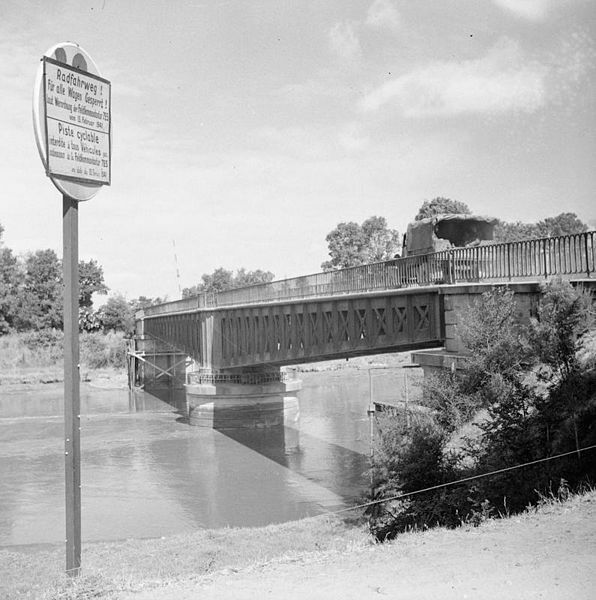 (Earlier, British gliders had landed and captured two bridges leading toward Utah beach; American gliders were bringing reinforcements and equipment). The gliders were large, bulky, and awkward to fly. Think of a boxcar with wings trying to make a controlled crash landing and you’ve got a basic idea of the situation. They flew in during the dark morning hours. Meredith’s hands may have been sweaty on the controls as he peered into the darkness and prayed for a safe touch-down. 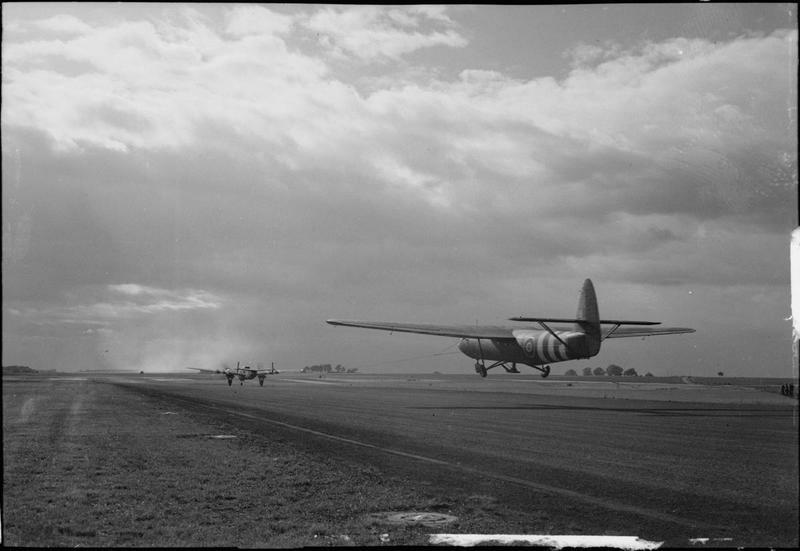 The invasion gliders had rough landings, some broke windscreens and the pilots flew out, some tipped onto aircraft’s nose, others crashed into walls; they skidded, bounced, and crashed on the French soil. We don’t know how Meredith’s landing was – but we conclude that he got the glider on the ground. Whether he brought a jeep or reinforcements, he’d just landed vital support for the Allied troops fighting on the ground. He may have seized a weapon and joined in the fighting. A bridge exploded and reinforcements/supplies were landed. The details about some of the men involved in the invasion are very sketchy and leave us with many questions. But I shared these stories because I believe it’s important to record what is known and for us to consider what “average” American citizens – an electrician and a farm boy – did to serve their nation. I hope their stories teach you two things: 1) It’s the individuals who have the courage to carry out missions that secure success – remember General Eisenhower’s command headquarters decision? (See last week’s post for more details). It would not have been successful without the individuals who actually went into France in the night darkness to accomplish the missions of destroying bridges and landing support. 2) Take the time to listen to stories that older folks are willing to tell. If you can, casually interview them about their experiences and write it down – that is history. A tow plane takes this glider from the ground into the cloudy sky. Where will the landing be? What history will be made? History is about individuals – their actions, words, inspiration, courage, loyalty, and patriotism. Abstract terms become reality in individual’s lives. Though we have only the most basic facts about Ray Herdman and Meredith Howell, I hope their stories will remind you of the simple courage and patriotism that has made America a great nation. May their stories inspire you to be a strong individual with a desire to serve your nation in peace or war. P.S. Do you have a relative who was involved in the Normandy Invasion? I’d like to hear their story. Please leave a reply. If you have any interest in the real facts of my dad Meredith Howell real WWll stories ask me Christy or my sister Marcia. Bye the way are my Sarah my Aunt Eleanor’s and Uncle Walters daughter? If so we are first cousins.Last we heard you and Lisa were in Phoenix. My dad ralked a lot about his stories to those he was close too. Marcia and I listened carefully and still remember. Hi Christina, I’d love to hear the stories. I’m Wes and Kay Thornton’s granddaughter and I live in California. There’s a contact form at the top of the website (look on the blue bar). Please send me message and we can communicate by email rather than on the open comment forum. Thanks!